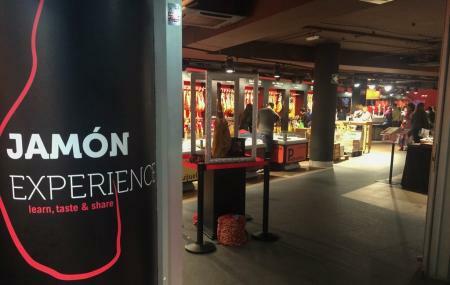 A visit to Jamon Experience proves to be gastronomic journey which introduces you to ways of process of production, origins and types of Jamón within an interactive and entertaining network. This tour is inclusive of an audiovisual session and tasting of 6 great hand carved hams done by professional carvers and paired with cava, beer or wine. This is one attraction in Barcelona that will definitely add a distinct experience to your culinary delight. 6 Jamón varieties tasting plus 2 drinks (glass of cava, wine, beer or soft drink). Audio guide system in 8 languages. The tour starts at an interval of half an hour throughout the operating hours. Last ticket sales at 7pm. People normally club together Scòpic Miniatur Barcelona and Basilica Of Our Lady Of Mercy while planning their visit to Jamon Experience.